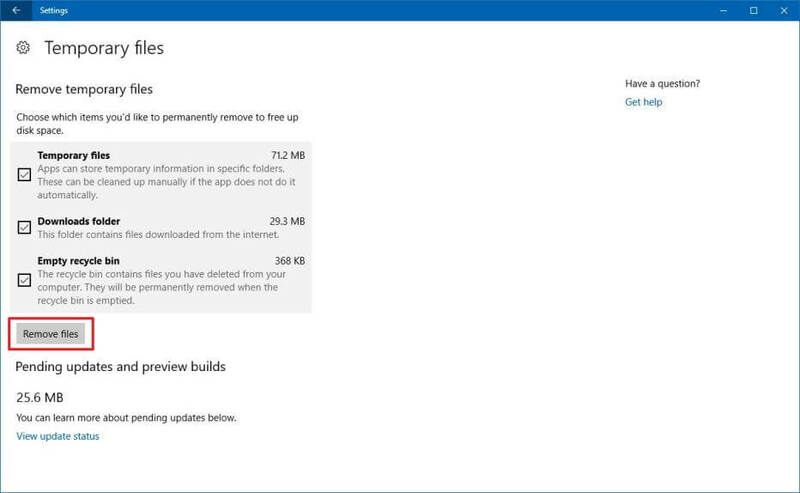 Are you unable to upgrade your Windows system to the Windows 10 due to Error 0x80070070? Is your system showing 0x80070070 error message while installing or upgrading to a new version of Windows 10? Getting error popup (Error 0x80070070) during the installation of the Fall Creators Update or other available updates? If YES, then don’t worry as you can easily get rid of 0x80070070 error, read this tutorial till the end and apply the given solutions carefully. With the help of given fixes you can also get rid of several other update error codes such as error code 0x50011, – 0x50012, or – 0x60000 and more. Now, the point is why this error code is appearing every time and preventing the installation process. The cause behind any of the three error messages (0x80070070 – 0x50011, 0x80070070 – 0x50012, 0x80070070 – 0x60000) is; your computer or laptop doesn’t have enough space to successfully finish the upgrade. Once your system displays this error code, from that time you will become unable to execute several other tasks or actions. You cannot install any of the available updates on your PC or Laptop. If you want to update the installed apps then you will receive error message. You can’t add any additional apps or software. If your system is infected with the computer Virus or Malware, then it may also corrupt other important files related to the System, User, media, etc. That’s all about the error, now coming to the solutions of 0x80070070 error message. Apply the below-given fixes one by one and after applying each solution try to upgrade or update your system and check for the issue. This solution will help you to free the space on your drive. 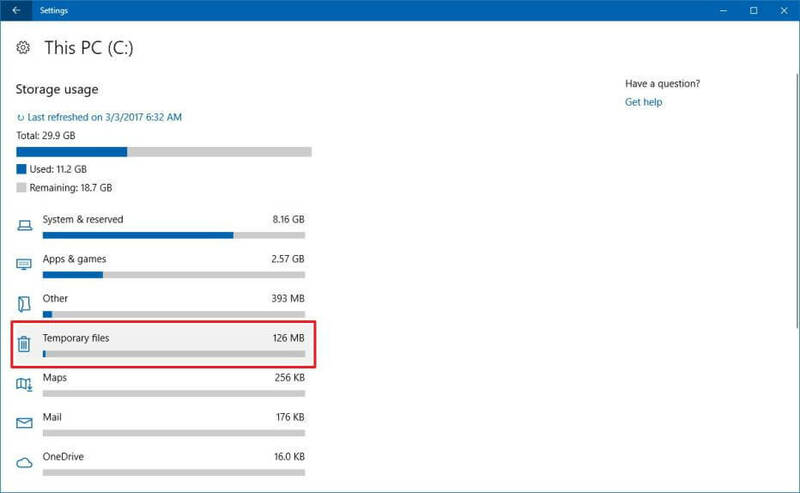 First, you have to check your system driver to get the idea how much more space you required. 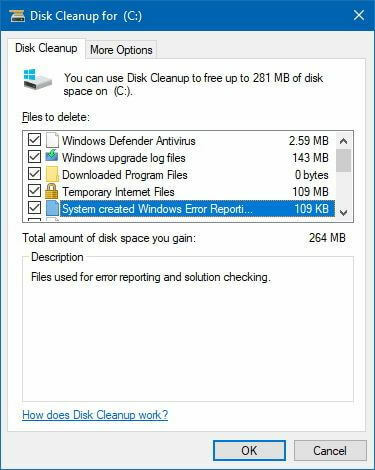 In order to clean your system drive, you should go with a preinstalled tool available on your PC. Follow the below-given steps to up hard drive space and optimize the PC performance. Go to the Start menu and browse Explore option. Choose “This PC” and right click on the C drive then select Properties. Now, select Disk Cleanup sub-option. In this window, you will see several options to clean up. (Especially error logs, temp files, and Recycle Bin, etc.). Once you are done. 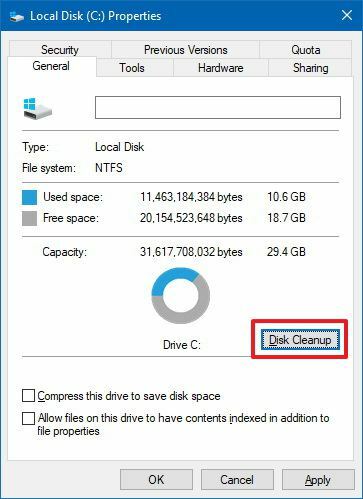 Click on the OK button for Disk Cleanup. 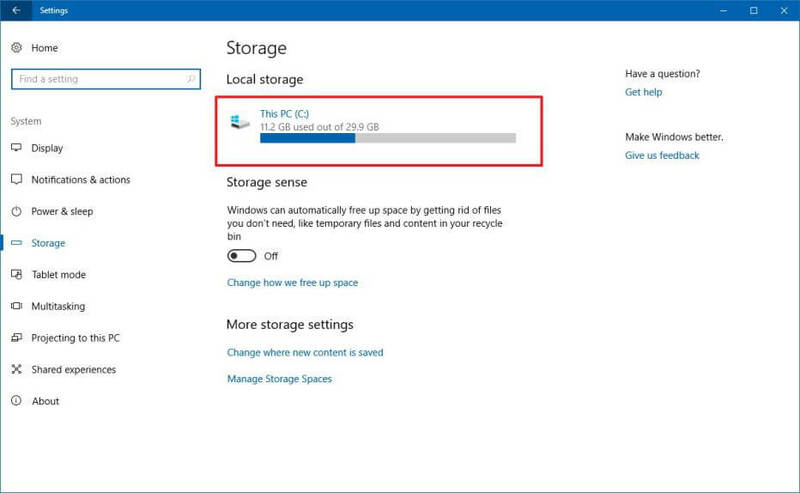 If you are getting this error message while running the Windows 10 Creators Update then you should go with the Storage sense to free up space. Open Settings and click on System-> Storage. 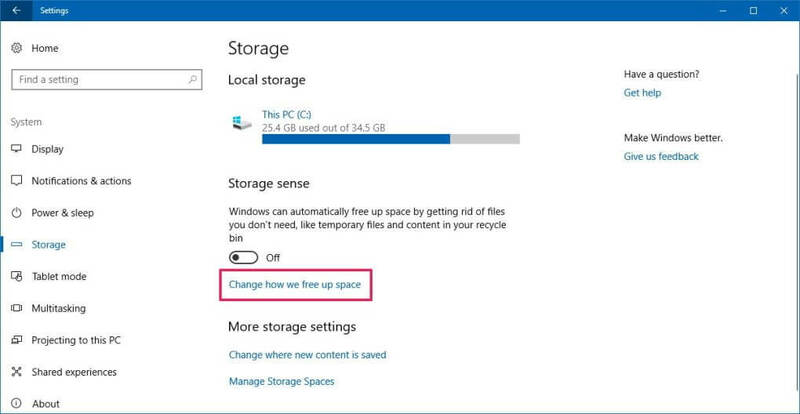 Under the “Storage sense” option, click on the Change how we free up space link. 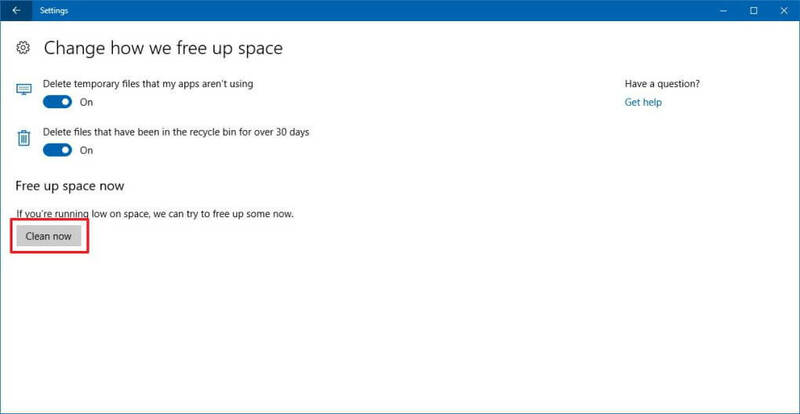 Now, you have to turn on the toggle switch for: Delete temporary files that my apps aren’t using and Delete files that have been in the recycle bin for over 30 days. Click on the Clean now button. Open the System Settings -> click on System -> click on Storage. Now, you have to click on the primary drive, i.e. This PC (C:) drive. Click on the Temporary files. Choose the files that you want to erase. Note: Temporary files include those temp files from apps, files present in the Downloads folder, recycle bin files, and old installation files. At last, click on the Remove files to finish this task. Sometimes, due to the corrupted Windows Update Components, you may face this error code. Hence, to overcome from this type of situation you have to reset Windows Update Component manually. Step 1: First you have to open the command prompt with admin privilege. To do this, right-click on the Windows button and choose the Command Prompt (Admin). That’s all, now exit from the Command Prompt by typing the ‘Exit’ command and restart your PC. As it is discussed above, sometimes due to the virus or malware infection Windows 10 update error 0x80070070 has been triggered. 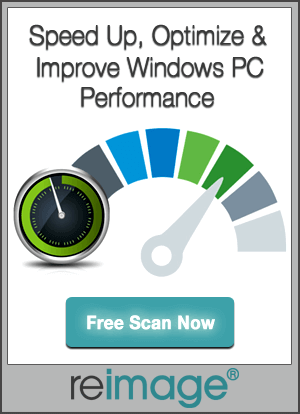 Therefore, it is recommended to run a complete system scan with the help of a reliable antivirus program. There are various antivirus tools are available in the market, but you should choose one that has the ability to deal with both virus and malware. So, it is hoped that after applying the above fixes your system is now error-free and updated. At the introduction part of this blog, we have also discussed about the clogged registry, which may trigger 0x80070070 error code. That’s why, it is suggested to check for the junk, cookies, damaged registries, startup problems, and other issues that are preventing your system from working smoothly. 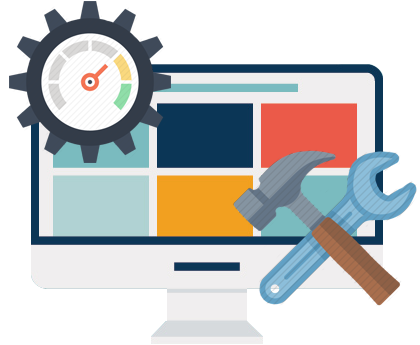 To do all of these tasks and make your system completely error-free, you should go with the reliable PC optimization tool, such as Reimage Repair tool. Download, install and run this tool on your system. This tool will scan your system deeply and get rid of all the hidden issues related to the registry, junk files, system files, malicious programs and more. 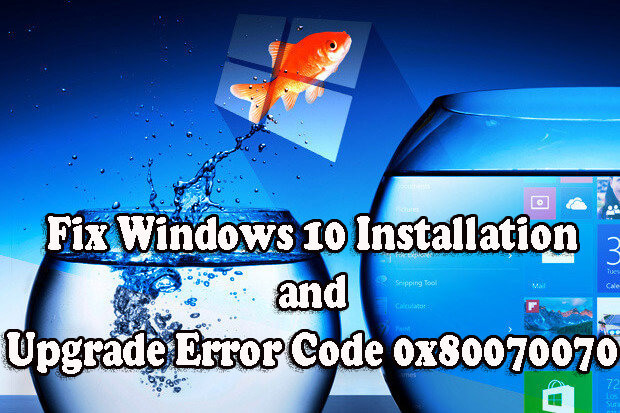 Want to get rid of Windows 10 Installation and Upgrade Error Code 0x80070070, then you should follow the given solutions one by one. Also learn how to make your PC/Laptop updated and error free.